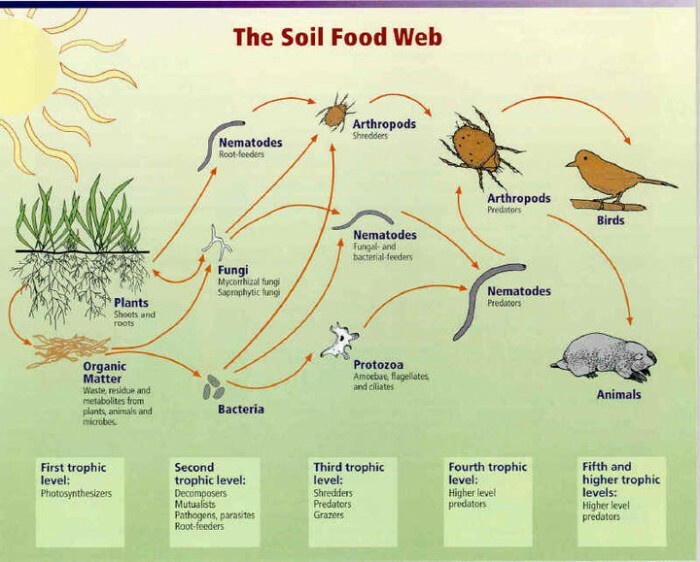 The soil food web is the community of organisms living all or part of their lives in the soil. This food web diagram shows a series of conversions (represented by arrows) of energy and nutrients as one organism eats another. Most of these organisms live in the top 3 inches of soil! WOW, IT’S CROWDED IN THERE! (in forest soils). Bacteria break down easy to-use organic material (sugars, proteins, carbohydrates), retain nutrients, like N, P, and K in the soil and combat disease causing organisms. 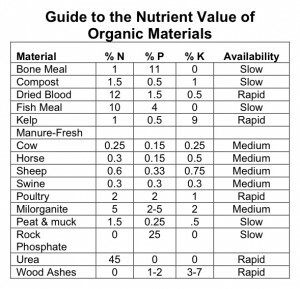 structured soils, and reduced oxygen levels which help the root-rot fungi more than anything else). available for plants to take up. Between 40 and 80% of the N in plants can come from the predator-prey interaction of protozoa with bacteria. bacterial- or fungal-feeding nematodes eat bacteria or fungi, nitrogen is released, making that N available for plant growth. However, plant-feeding nematode are pests because they eat plant roots. These “bad” nematodes can be controlled biologically, as they are in natural systems, by fungi that trap nematodes, by having fungi that colonize root systems and prevent nematode attack of roots, or by predation of nematodes by arthropods. In cases of extreme outbreaks, however, the only answer may be the use chemicals to control these plant-feeding nematodes. However, once a chemical is used which kills the beneficial nematodes as well as the plant-feeding ones, the beneficial nematodes need to be replaced through inoculation. What inoculants are there for these beneficial fungi? Compost, and compost tea are the only commercially available sources of the whole community of these beneficial nematodes, or protozoa, for that matter. if the bacteria or fungi are lacking, increased decomposition will not occur because it takes ALL the organisms working together to make nutrient cycling work. In many cases, however, the arthropods carry around an inoculum of bacteria and fungi, making certain the food they want (bacteria and fungi) are inoculated onto the newly exposed surfaces! Because the C:N ratio of arthropods is 100 times greater than the bacteria and fungi, they release nitrogen which then is available for plant growth. Some arthropods eat pest insects, while others eat roots. Again, it’s important to encourage the beneficial ones and discourage the ones that eat plants! HOW DO WE CARE TAKE OF IT? 3) NO SYNTHETIC FERTILIZERS. If you’re adding compost regularly, you may need to do very little fertilizing (our goal), but if you do…only organic please :). Synthetic fertilizers break the relationship between plants and soil organisms and excess amounts of the most mobile of nutrients (N) can be a source of pollution in run-off causing ‘dead zones’ in bodies of water and has been connected to stomach cancer. 4) Do not compact soil and do not over-work (till) the soil. Using a COVER CROP is a wonderful way to bring an organic source of nitrogen back into your soil and re-invigorate your soil food web. Check out the links listed next to the edible legumes below and research the cover crops in the links below to determine what will work in your zone. – Green Bean, Split Pea, Yellow Pea, Green Pea, Snow Pea, Black-eyed Pea, Chickpea, Broad Bean, Lima Bean, Fava Bean, Navy Bean, Red Kidney Bean, Great Northern Bean, Pinto Bean, Adzuki Beans, Mung Beans, Soy Bean, Brown Lentil, Green Lentil, Red Lentil, Black Lentil. BUT, remember without a healthy soil food web (which includes the bacteria that make the nitrogen-fixing possible for these plants) none of this is possible. Brady-rhizobium fixes nitrogen via root nodules, releasing N to the host plant. 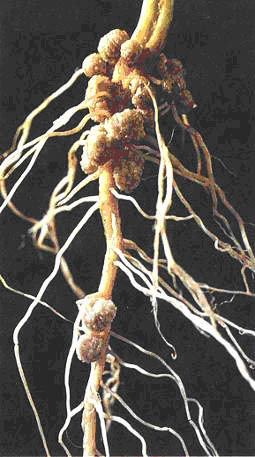 Azobactoriaceae: Nitrogen fixation w/out nodules on non-legume plants. Fungi are responsible for most of soil fertility. Decompose just about anything and release the nutrients contained within the materials, back to the plant. Live in and around the root zone of plants, extending far out from the plant’s roots with their own network of thread- like filaments known as hyphae. Evolved in association with plants. Increase the ability of plants to take up water and certain nutrients. Protecting associated plants from pests and diseases. Cannot survive long in bare-soil conditions. Cannot thrive in conditions where synthetic soluble fertilizers have been used continually for many years. 1) Use green manures and mulch. 2) Refrain from using chemical fertilizers, w/high levels of phosphorous. 3) If the soils are degraded, consider adding quality compost. 4) For degraded sites, inoculate with commercially-available mycorrhizae. I’m interested in the effects of municipal water, treated with chloramines, on soil based life. Is it worth the time and expense to keep soil hydrated with RO water? Can chloramine accumulate over time in the subsoil? Your welcome! Sorry Kevin…can’t speak to that. I would contact your county’s Cooperative Extension agent and see if they can help you. If they don’t know, perhaps they can direct you to a resource who can. City water has Estrogen, Chloride, fluoride. All are meant to kill living things. When ready for your tap, that stuff has not been eliminated. Collect rainwater-from a metal roof to drink, or shingle roof or pond for garden, is best. City will do, though. Book, ‘Teaming With Microbes’ will make you aware, and well-equipped to feed your soil food web, in less than a week. Deals on e-bay. My impression is that our water supply and its contents are less impressive to our lives than what we eat of the foods that are offered in our area. Think of the chemical and physical aspects that include in our soil and grow our foods in. The chemistry and fertilizers that we put into the soil. What is our approach to enriching and keeping our soils clean? There is so much more that we should be learning about before we put this into our precious soils and thus our bodies. Regarding the first commenter and the response given… County Extension Agents are by no means up to date with their knowledge, nor are they necessarily for using organic principles. I was at a soils workshop in CT and the agent recommended using malorganite, which is manufactured from sewer sludge. First I gagged, then I approached him to ask him if what it was. I went further and asked him about all of the contaminants found in both sewer sludge and in municipal water sources. He was clueless. Thank you for bringing up a great point Sven. Extension agents are definitely not exclusively advocating organic methods. In the area of pest management, they will promote an IPM (Integrated Pest Management) approach which, while is a move in the right direction, still includes synthetic chemicals in its options. It also has to do with level of CURRENT knowledge of the agent. Like anything, these professionals have to keep up to date with the newest methods, but that means organic as well. That, sadly as you discovered is not always the case. While they are still a wonderful resource, I also emphasize readers connect with their County’s Master Gardeners. In their case they are required to complete a certain amount of continuing education hours each year and are, in my opinion, ‘closer’ to what’s happening in their communities (be an informed consumer of info in this regard as well – skill varies in all things).